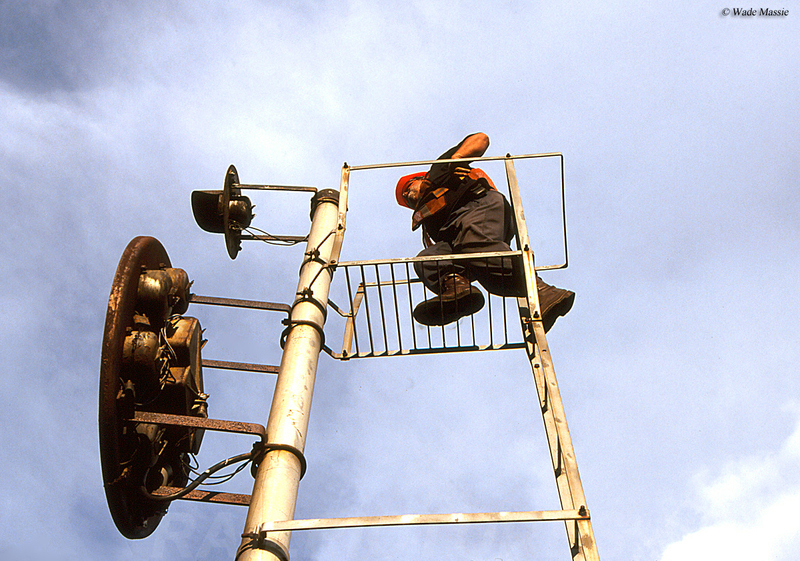 As you might guess a railroad signal maintainer does just that, maintains and oversees a number of signals within his or her territory of coverage. 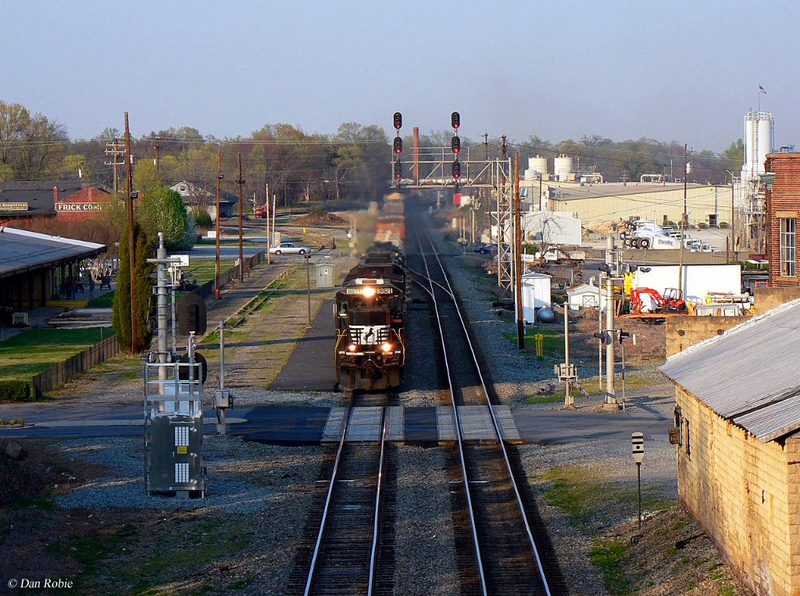 The position also maintains "active" grade crossings, or those locations which have operating lights and gates which protect roadway/railroad crossings. Obviously, to be qualified for the position one must have an intimate knowledge of electrical applications and railroad signaling systems in particular (so a degree in the field of electrical engineering is a definite plus), such as those built by Union Switch & Signal (US&S). Overall, the position requires a high level of skill and training and as such offers very good pay. Railroad signals have been an important aspect of the industry since its very early days of the highball (a device operated manually whereby once the ball is raised to the highest position an engineer knows the track ahead is clear giving rise to the popular term "highball" when a train is clear to reach top speed) and semaphore. Early signals, of course, where quite primitive requiring very little if any electricity and electrical wiring. However, as the decades progressed they became more intricate and advanced with the increased use of relays, track circuits, and computer chips. Today's newest railroad signals use a dizzying array of computers and circuits requiring signal maintainers to have an intimate knowledge in varying fields. However, while they are being replaced there are still a significant number of older signals in use dating back decades when railroads like the Baltimore & Ohio and Pennsylvania used their own, particular type. As such, railroad signal maintainers must also have the skills and knowledge to be able to repair and keep these venerable signals operating as well. * Inspects signals and grade crossing warning devices to assure proper operation. 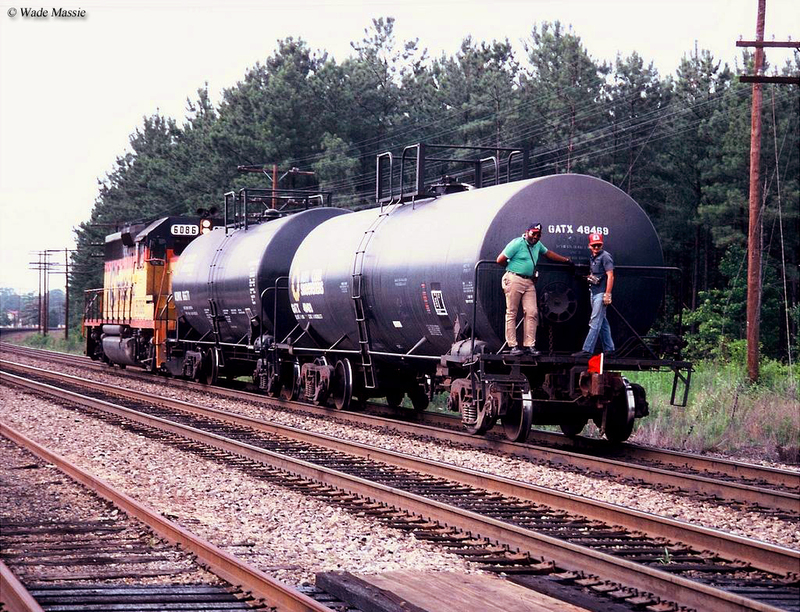 * Performs necessary repairs to signals and grade crossing warning devices. * Inspects, tests and repairs electric gate crossings, signals and signal equipment within division of railroad system. Drives truck along track route and stops truck to inspect and test gate crossings, signals, and signal equipment, such as interlocks and hotbox detectors. Inspects batteries to ensure that batteries are filled with battery water or to determine need for replacement. * Tests defective wiring, broken lenses, or burned-out light bulbs. Cleans lenses of lamps with cloths and solvents. * Lubricates moving parts on gate crossing mechanisms and swinging signals. * Inspects electrical units of railroad grade crossing gates to detect loose bolts, defective electrical connections and parts. Tightens closing gate. * Files FRA 234 and 236 reports. * Performs insulation resistance tests. * Performs other tasks necessary to efficient operation of railroad as assigned. * Electrical background or training preferred. 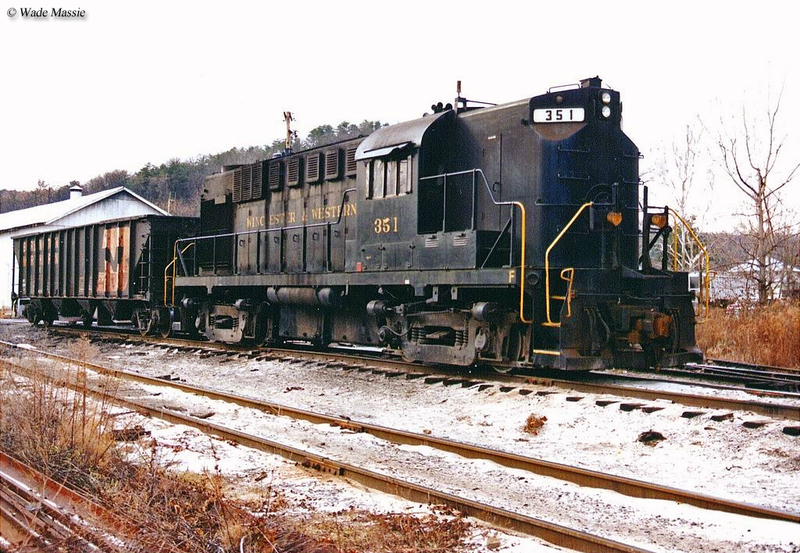 * Ability to recognize problems and appropriately and efficiently make repairs to railroad equipment. * Ability to perform mechanical repair tasks. Manual dexterity and good eye-hand coordination are necessary. * Ability to stand for long periods of time, walk and move rapidly, climb, bend, stoop, twist and turn frequently. * Ability to frequently reach, lift and maneuver objects of varying dimensions and weights up to approximately 80 pounds. * Exposure to potential hazards exists with respect to hand tools, equipment and work environment. * Must possess willingness to accept and actively participate in training in new skills. * Working conditions may include exposure to varying temperatures while working outdoors. * Possess valid driver's license and ability to possess CDL if required. * General Code of Operations Rules or other FRA Track Safety Standards. * FRA Bridge Worker Safety. * FRA Roadway Work Protection. * Company Safety Rules and any other deemed necessary by the company. The above statements are intended to describe the general nature of work performed by employees assigned in this area. The responsibilities, duties and skills required of employees in this classification may vary based on individual skills and operating needs. The above statements are intended to describe the general nature of work performed by employees assigned in this area. * The responsibilities, duties and skills required of employees in this classification may vary based on individual skills and operating needs. To learn more about the job of signalmen please visit the Brotherhood of Railroad Signalmen's website. The job of signal maintainer can be quite demanding and fatiguing. However, of you enjoy being outdoors, always on the move and working on electrical applications you quite likely will find this work very enjoyable. Again, if you are not even sure if a career in railroading is right for you but would like to learn more about what it takes to work in the industry you might want to consider the book Working on the Railroad from noted author Brian Solomon. Solomon's book details the history of working in the railroad industry and the difficulties and hardship employees faced back then as well as today.